Support the Carroll EWB-USA Holiday Season Campaign! to prepare future leaders who are well equipped to solve the world's most pressing problems. Your donation will support our EWB projects in Guatemala, Mexico, St. Lucia, and Uganda. We have students from a variety of majors who take part in this non-profit service program that provides basic necessities such as clean water, proper sanitation, education facilities, and community health education to people in developing communities. In Guatemala, we are working hand-in-hand with the Helena Diocese mission to implement structural projects to strengthen a local school and medical clinic against earthquakes. In Mexico, we are adding a well to the agricultural irrigation system at the Santa Maria Home for Children. In St. Lucia, we are making improvements to the domestic water system at the Marian Home for the Elderly so that the residents have better quality care. 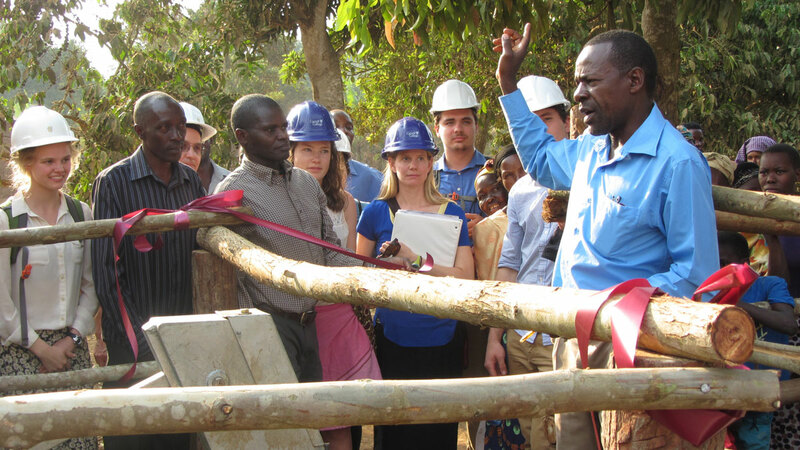 In Uganda, our newest project, we are providing clean and safe water for Kawango Village and the Holy Trinity School. While lending a helping hand, our members are given the opportunity to learn about the local cultures and are exposed to the challenging conditions in developing countries. For more information about Carroll EWB and our projects, be sure to visit www.carroll.edu/ewb.